Welcome to our complete guide on hiking the Lares Trail to Machu Picchu. On this page you we have done our best to provide all the information you need to prepare for an amazing Lares trek experience, including a detailed overview on the 5 route and itinerary options. You will also find sections on acclimatisation and altitude sickness, guidance on what to pack and when to book your Lares trek, information on costs, tour operators and other frequently asked questions. The Lares Trek is an off-the-beaten trail that begins near the town of Lares, 40 miles north of Cusco and 35 miles south east of Machu Picchu (see map below). The trek itself lies in the Lares Valley, east of the Urubamba mountain range, which traverses part of the Sacred Valley. The trek can be completed as a standalone 2 or 3 day trail, or be incorporated with a visit to Machu Picchu – extending the tour by 1 or 2 days. The latter option is fast becoming a popular itinerary for trekkers due to the permit limits placed on the Classic Inca Trail to Machu Picchu. Permits are not required for the Lares Trek. This means that you can in effect arrive in Cusco and depending on the season (not June-August) be on the trail within a day or two. Of course you will still need to book your train tickets to Aguas Calientes as early as possible during peak season, as well as your entrance tickets to Machu Picchu. In terms of the actual route itinerary, there are in fact a number of variations on the Lares Trek, most end at Ollantaytambo. From here trekkers can catch a train to Aguas Calientes to visit Machu Picchu or indeed return to Cusco. 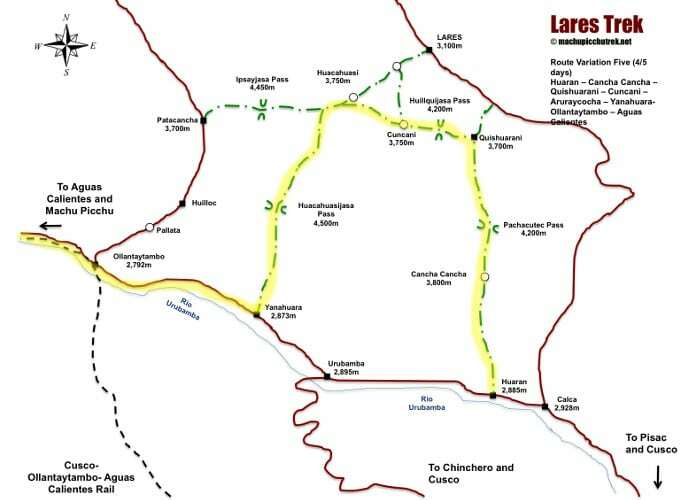 We discuss each Lares Trek route variation in some detail below. There are a number of factors that make this trek a great alternative to the Classic Inca Trail. Firstly, and perhaps most importantly for some, is that it is a lot quieter than than Inca Trail. Secondly, the route is arguably easier than the Inca Trail in that one doesn’t need to deal with as many steps. Altitude is still an issue and on some route variations you will need to deal with 3 high altitude passes that are over 4,200 meters (the highest, depending on your route is either 4,400 meters or 4,600 meters). You can find out more about acclimatisation and altitude sickness here. 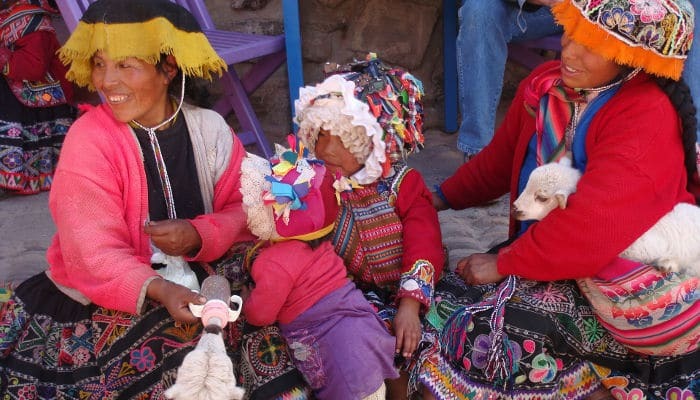 Finally, the Lares Trek has the benefit of providing a true Andean cultural experience. The Lares Valley is home to a number of traditional Andean communities that have changed little in the last 500 years. It is very likely you will see many local weavers and farmers wearing colourful traditional clothing, and depending on your tour you might get a chance to watch or partake in some weaving action. The area is famous for it’s homemade textiles, so if you want to bring an authentic piece of Peru back home with you then take a few spare Soles. You can pick up a bargain here whilst making a local weavers day! There are a number of Lares trek route itineraries to Machu Picchu, each offers a slightly different flavour of the region. Below we have set out 5 route variations. The first two are the most common Lares treks to Machu Picchu. All of the trails below do not require permits and can be completed as standalone treks without visiting Machu Picchu. This is one of the most popular Lares trek variations to Machu Picchu, mainly because it is the shortest (~33km) and easiest (only one big pass at 4,450m). The route takes three days to trek (one extra day to visit Machu Picchu) and takes trekkers through two interesting weaving communities at Huacahuasi (Huacawasi) and Patacancha. Here is the route map and itinerary. Trekkers leave Cusco (3,400m) early on the first morning, typically around 06:00 and drive for 2 hours to the small town of Calca (2,928m). Some groups stop here for a break and potentially get breakfast / stock up on snacks and water. From here the drive continues north for another 3 hours to the town of Lares. Trekkers generally visit the thermal springs in Lares where one can take a quick dip before commencing the 5-6 hour (~12km) trek to the first camp site, Huacahuasi (3,750m). Huacahuasi (Huacawasi) is a traditional weaving community. Trekkers usually spend the morning watching weaving in action and trying on some of the beautifully colourful ponchos made by the local villagers. The trek today is a short, but tough one. It begins with a climb up and over the Ipsaycocha Pass (4,450m) – the heighest point on the trek – which takes about 2-3 hours, and then a descent of just over an hour to the campsite at Ipsaycocha Lake. Total trekking distance ~9km and walking time 3-5 hours. Today is all downhill! From Ipsaycocha Lack the route descends for 2-3 hours to the Quechua weaving community in Patacancha (3,700m). The trail then turns south and continues downhill to another traditional Quechua village called Huilloc (sometimes written Willoq). You will see locals wearing traditional dress in both these villages. The trail concludes here where most tour operators organise land transport to Ollantaytambo (2,792m), before catching a train to Aguas Calientes (2,040m) – the town that sits below Machu Picchu. After a comfortable night in a hotel, you will wake early to get one of the first buses up to Machu Picchu (note: the first buses depart around 05:30, but in peak season – May-September – queuing can start before 05:00). Your trekking company would have likely organised a 2-3 hour tour around Machu Picchu. If you still have the energy and aren’t afraid of heights, it is worth climbing Huayna Picchu (the large mountain behind Machu Picchu), or visiting Inti Punku (the Sun Gate). Both provide great birds-eye views of Machu Picchu. Your train from Aguas Calientes to Cusco will likely be booked for mid-afternoon – it takes about 30 minutes to return by bus from Machu Picchu to Aguas Calientes, but there are often queues for buses so make sure you give yourself enough time to catch your train. 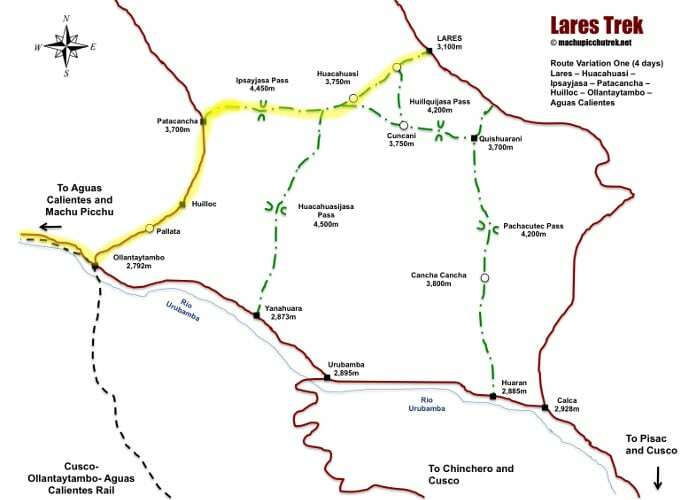 This Lares trek route variation is the second most popular, after the “Weavers Way’. The route is a little longer than the first (~39km), but of a similar difficulty, accept on this route you will need to contend with two big passes! Leaving early on day 1 you will drive from Cusco to Calca, where most tours stop for brekkie. From here you continue on to Quishuarani (3,700m), arriving around 11:00. The trek starts with a gradual ascent that get’s steeper as you approach the first pass, Huilquijasa (4,200m) – the views of the valley and lakes below are great from the pass. It takes about 3-4 hours up and about 2-3 hours to descend to the first camp, Cuncani (3,750m). Total trekking distance is ~12km, 5-7 hours walking. Day 2 starts early and is the toughest on the route. From Cuncani the route gradually descends into the Chancachaca Valley (3,600m) for about 2-3 hours before rising again to the town of Huacahuasi – 3,750m (sometimes spelt Huacawasi). This town is famous for it’s weavers and you will spend some time here watching the locals at work, whilst having lunch. From here the route continues up and over the Ipsayjasa Pass (4,450m), before descending to the camp at Ipsaycocha Lake. Total trekking distance is ~15km, 6-9 hours walking. Day 3 and 4 follow the same route as the Weavers Way (Route 1) above. The Quishuarani to Yanahuara trek has the same first and last day as Route 2, but is better suited for the more experienced trekkers as it is longer (~45km) and more challenging (there are three passes over 4,200m that need to be traversed). The route is one of the least popular Lares trek variations due to it’s difficulty and because the end point, Yanahuara (2,873m), is a good bus journey away from Ollantaytambo, where trekkers catch the train to Aguas Calientes. An unusual and long 6 day Lares trek from Huaran in the Sacred Valley up to Quishurani (3,700m) vis the Pachacutec Pass (4,200m), and back around and down to Yanahuara (2,873m). This is by far the least used route and is a tough challenge. The final route worth mentioning is generally done by trekkers who have already been to Machu Picchu and are looking for an Andean trekking experience that provides lots of opportunities to interact with locals. Starting in the Sacred Valley at Huaran (2,885m), the route follows a 4-5 day itinerary up and over the Pachacutec Pass (4,200m) to Quishuarani (3,700m). It then heads west over Huilquijasa Pass (4,200m) to Cuncani (3,750m), before continuing north up to the small town of Vilcabamba and then onto Lares. Trekkers can then either take a bus back to Cusco, or if they have yet to see Machu Picchu, get a bus to Ollantaytambo, where a train can be caught to Aguas Calientes / Machu Picchu. The best time to do the Lares Trek is during the dry season (May-September). This is the busiest trekking time in the region, particularly on the Classic Inca Trail, where permits sell-out months in advance. The Lares Trail is the third most popular trek to Machu Picchu, after the Classic Inca and Salkantay, so during the height of the peak season the trail can be busy. That being said, there are so many variations on the Lares Trail that in general the routes never feel over-crowded. During the dry season shoulder months (April and October), the Lares Trails are particularly quiet, and weather is often very pleasant. November is touch and go in terms of trekking and the likelihood of encountering rain is relatively high. We suggest avoiding December through March as rain makes the trail really unpleasant and visibility is often low due to heavy morning and late afternoon fog. Temperatures throughout the year are moderate, in the high twenties (Celsius) during the afternoon, and cool to cold at night and in the early morning. Layered clothing is important (see packing list below). Micro-climates characterise the Andes so rain throughout the year is possible. Always take rain gear. To see detailed charts on historical weather patterns in and around Machu Picchu, click here. The Lares trail is a high altitude trek that comes with obvious altitude sickness risks. Acclimatising to the high altitude is a key factor in ensuring you have a safe and enjoyable trek to Machu Picchu. We recommend that you take a moment to read our detailed guidance article on altitude sickness and acclimatisation. The equipment packing list for a Lares Trek is essentially the same as an Inca Trail packing list. To help you pick the right gear, we have written a detailed guide, please find it here: Complete packing list. The training and fitness requirements for the Lares trek are the same as those for the Inca Trail. We recommend you check out our detailed guide on getting fit and ready for trekking to Machu Picchu. We hope that this Lares trek article has proved helpful. If you still have any questions please leave a comment below and we’ll do our best to point you in the right direction. If you have already trekked this route and have any nuggets of wisdom that you would like to add to this page, please also get in touch using the comment section. If you found this helpful, please help us keep the site alive - Share it and comment below! If hiking the weavers way trail unsupported is it possible/how long would it take to hike from huilloc to ollantaytambo? 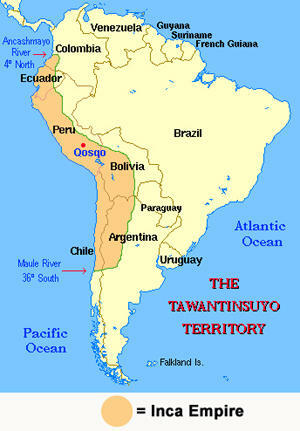 Hi Jenna, its takes about 4-6 hours to walk from Huilloc to Ollantaytambo or 6-8 hours from Patakancha to Ollantaytambo. Cheers! First off, thank you for all of the tips, these are incredibly helpful. 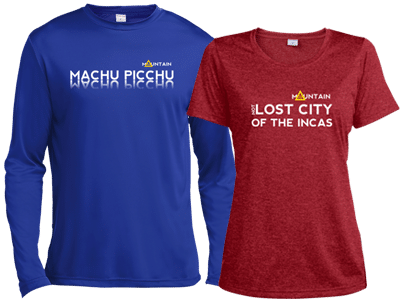 I am planning on doing the Salkantay Trek to Machu Picchu in September, but don’t want to miss out on the cultural experience that the Lares Trek offers. 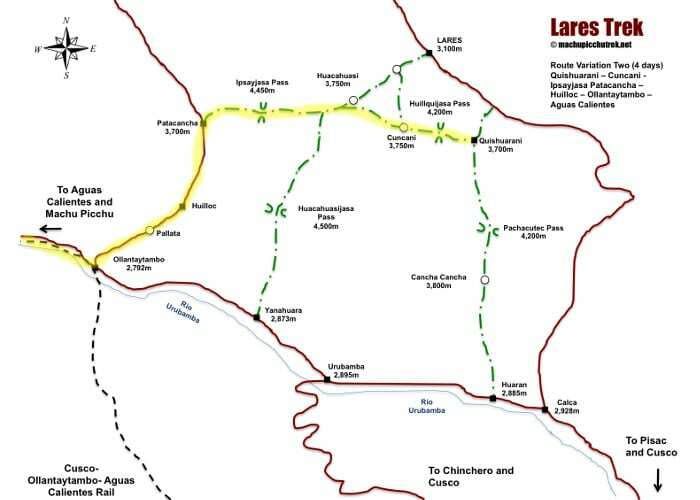 Would I be able to do the Weavers Way route, but backwards, from Machu Picchu? If so, any tips or things I should specifically plan that’s not outlined in your guide? Thanks again for the helpful guide. Hi Trevor, always happy to help. Yes, it is possible to do the Weavers route backwards. You will need to catch a train from Aguas Calientes back to Ollantaytambo and then reverse engineer the route. It would be worth taking a guide or muleteer to help you with wayfinding. Hope this helps! This might be a silly question, but I have only just started planning my trip- Do the campsites have tents or do people take their own? Hi Emma, if you are using a tour company / guide agency they will provide tents and camping equipment. They will also provide mules / porters to carry camping gear. If you are hiking independently then you will need to bring / hire all your own gear as well as carry it or hire a muleteer. Hi Dave, there aren’t too many great maps for the hiking routes in Cuzco. I managed to find this map, which includes the Sacred Valley and the Lares Trek. Hope it helps. Hi Jade, check out our tour recommendation page: https://www.machupicchutrek.net/go/. January is not the best month and can be quite wet, but if you get a good week it can be a great time to trek to Machu Picchu as it is a lot quieter. thanks for the tips! i wanted to know about doing the trek independantly with a friend. is it relatively safe and easy to navigate? are the paths marked at all? and are there designated places to put up a tent or we will be wild camping? Hi Elinor, the Lares is not well marked, but with a decent map, like this one: https://www.amazon.com/Hiking-Trekking-Topographic-Salkantay-Urubamba/dp/1985780542/ you should be able to find your way.